An event focusing on architectural and building decoration. Site offers news and program details, a listing of exhibitors, fair reviews plus online registration. Find Adsale's events calendar, publications, feature stories, business directory, and market intelligence. Also includes a virtual exhibition where you can display or search for products. An international event focusing on 3G services and applications. Site offers news and program details, a listing of exhibitors, fair reviews, travel arrangements plus online registration. A professional industrial exhibition agent in Taiwan. Site contains its profile and show list. An organizer of international exhibitions for the China and Asian markets. Site contains its journals and a searchable database of its exhibitions. A Hong Kong company which organizes exhibition in China and Asia. Site offers its profile and a search engine for you to search information about its exhibition projects. An international aerospace show organized bi-annually by the Zhuhai Airshow Company Ltd in Zhuhai, featuring the display of real-size products, trade discussion, technological exchanges and flight display. China international exhibition for all printing technology and equipment. Site contains its news, services info, floor plan, conference and seminar schedule, and a listing of exhibitors. It aims to foster the development of commerce between the US, Hong Kong and the Asia-Pacific region. It is an organizer of conferences, seminars and speaker programs. Offers product display and technology exchange of auto, ship making, and petrochemical products, electronics, home appliances, textiles, garments, rubber products, environmental protection and energy efficiency materials. Site contains its profile and exhibition schedule. A face-to-face event which helps apparel executives optimize their opportunities in the exponentially growing China textile and apparel industry. Site contains its news, show info, floor plan, exhibit profile, and a listing of exhibitors. An international appliance industry exposition in China. Site contains its news, services info and an exhibitor directory. Organized annually in Hong Kong by the Euromoney Conferences featuring the latest developments in the region's primary markets. A Hong Kong based joint venture between Miller Freeman Asia Ltd and SIC Group which organises international exhibitions for the leather industry across the globe. Site contains its profile and web links to its exhibition projects. Organized by Miller Freeman Asia in Hong Kong, featuring fashion jewellery and accessories. Jointly organized by the the International Association of Amusement Parks and Attractions, the American Amusement Machine Association as well as the AiC. It features participatory play equipment, security equipment, games and devices, etc. An international exhibition centre located at Hong Kong International Airport. Provides over 70,000 square metres of rentable space upon opening by the end of 2005. Site contains info on its location and facilities. Specialized in organizing trade fairs and consumer shows in Hong Kong. Site covers its profile, schedule of events and contact details. A biennual trade fair organized at Guangzhou featuring vehicles, car workshop and service station equipment, automobile spare parts and accessories. Site contains fair factsheets, press releases, and event schedule. A biennual trade fair organized at the China International Exhibition Centre of Beijing. Site contains fair report, factsheets, event schedule, and press releases. Organized by the General Administration of Civil Aviation of China in Beijing. Site contains a show report, a list of exhibitors, a visitor guide, travelling info, and more. An annual event featuring 3G mobile telecom industry. Site contains program details, lists of speakers and participants, travel arrangement and an online booking form. A conference and exhibition organiser producing, marketing and running international financial and alternative energy events in the Asian Region. Site contains its profile and events information. It creates and provides seminars and courses in Singapore. Site contains seminar schedule searchable by month and category. An annual trade exhibition organized by BITEC featuring Thailand's auto parts & repair industry. Site contains show info, exhibitor & visitor profile, industry info, press release, plus an introduction to Thailand. Specialized in organizing business conferences in Asia. Site provides its services, a conference calendar, business opportunities and e-Newsletter subscription. A one-stop business and trade event showcasing spring/summer collection from international and Asia designers. Site covers program details, press releases, exhibitor's guide plus registration forms. A biennial event which showcases the latest technologies and services in shipping, ports, marine and offshore technology, shipbuilding, ship repair and conversion. Site contains its conference info and an exhibitor directory. Provides a forum for those key Internet builders in the region to learn from their peers and other leaders in the Internet community from around the world. Hosted by the Ministry of Energy, Communications and Multimedia in Kuala Lumpa. A database of trade shows and exhibitions across the Asia Pacific searchable by keyword, industry, date and country. Hosted by the Asian Trade Promotion Forum. A professional conference organizer specialized in organizing international conferences in Thailand. Site lists its services and upcoming events. A database of conferences, exhibitions, and events throughout China and Asia. Searchable by date, sector, event type and geographical location. Provided by Hongkong.com. The organizer of the Asian Venture Forum held around the world. Site includes forum details, company products, and a guide to venture capital in Asia. Search for Asia-related exhibitions, conferences, readings, screenings, performances, and discussions by choosing the desired dates and location or searching by keyword. An international trading place where businessmen from all over the world come together for expositions. Site contains visitor info, leasing info, facilities info, and events schedule. An international automotive trade fair organized at Kuala Lumpur, from design to maintenance and recycling. Site contains fair factsheets, exhibitor list, event schedule, and press releases. The Middle East's international gifts and homeware trade exhibition featuring gift items and homeware products from both regional and international exhibitors. Site contains exhibitor and visitor information. An exhibition organizer in the Republic of Yemen hosting trade events in a worldwide basis. Site includes its introduction, an events calendar, services provided, Yemen local news plus a city guide. Organized in Tunisia featuring the region's brisk telecommunication, information technology, and business markets. Site contains expo overview, forum info, exhibition manual, and floor plan. An organizer of exhibitions, forums and seminars relating to the telecom and IT industry. Site contains its profile and information about the annual Arab International information Communication Technologies Forum and Expo. The fashion industry's important venue for accessories. It is organized twice yearly at the Javits centre in New York featuring a collection of the latest and best trends. 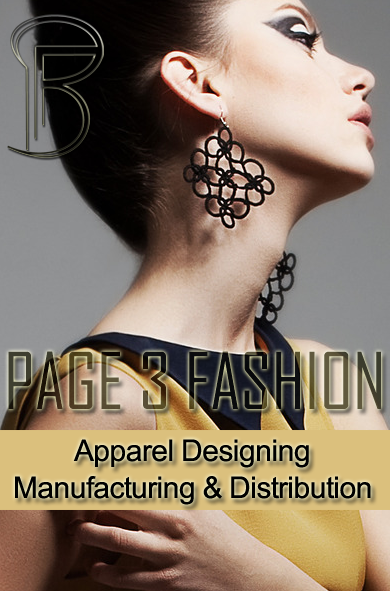 Site offers fashion trends and exhibitor search. A trade show organized by Miller Freeman for surf, skate, swim, resort, inline and urban streetwear products. It takes place three times per year in the US. Site also provides industry news. An annual forum organized by Hanley-Wood Exhibitions in US, featuring technology solutions for all aspects of the asset lifecycle. Site contains forum details, press release and a listing of exhibitors. A directory of retreat and conference centers, programs, and workshops in the US. Organized by the Organic Trade Association featuring organic products in the US. Site covers program details, press releases, a list of exhibitors, downloadable forms, and more. An annual toy trade show in US owned and managed by Toy Industry Association. Site contains program's details, a list of exhibitors, press release and city guide. A listing of marketing related conferences and links to more info on each conference, by the American Marketing Association. A fashion sewing expo in the US. Site provides info about its workshops, seminars, exhibits, and general info about accommodation, location, food service, etc. Includes a searchable database of business event facilities, event producers, trade shows and conventions. Also offers a monthly newsletter which highlights tradeshow and event news, trends and key industry players. A convention and exhibition complex on the west coast of US. Site covers its facilities, services, rates, an event calendar, directions and online reservation services. An annual industry trade show organized by the Hobby Industry Association. Site contains its floor plan, show schedule and a listing of exhibitors. An international sourcing and manufacturing trade show produced by Cyber Merchants Exchange in Las Vegas. Site contains a show directory and an exhibitor list. A show of great design produced by the Merchandise Mart Properties at New York, featuring art, antiques, furniture, building products, garden furniture, home accessories, carpets, rugs, etc. Site contains event highlights and exhibitor info. Offers five exhibit halls and 45 meeting rooms for any size event. Visit the site to find more about the services and facilities for exhibitors and visitors, floor plans, directions and its schedule of events. An annual expo in Detroit organized by VNU Expositions, featuring vehicle interior products, components and capbilities. Site contains show details, exhibitor lists and contact info. A biennial event of the wood and home furnishings industry. Site contains its exhibition information, schedule and floor plan. Organized by the Association of Woodworking & Furnishings Suppliers. A marketing services company which specializes in the organisation and supervision of international exhibitions, congresses, conferences, seminars, workshops, and roadshows. Includes its events calendar and news. Organized by Sine Fuarcilik, it is the meeting point of distinguished brands and products of the beauty world and will pave the way for new business contacts. Site contains fair information, an exhibitor list, visitor profile, a pre-registration form and press releases. A trade fair hosted by Messe M?nchen International Group to showcase the worldwide air cargo industry. Site contains general information, a list of exhibitors and contact details. The show serves as the commercial bridge among the region, offering solutions for the developing aviation and space technology industry. Site contains visitor profiles, an exhibitor list, show info and an online registration form. A computer fair in the UK featuring the latest hardware and software, plus quality secondhand kit. Site contains a buyer guide and a fair calendar. Organized by the Arena Fair Organization Company in Antalya featuring marbles, granites, onyx, travertine, diamonds, slate stones, raw blocks etc. Site contains fair details and information about Antalya. A place with three main halls, 18 panel discussion, committee and study rooms of various sizes with a seating capacity of up to 600. Site contains its profile, events calendar, plus a city guide. Organized every three years which serves as a business platform for food technology sector. Site covers an event overview, an exhibitor listing, services for participants, registration info, press releases and reviews for past event. An event held every two years in Cologne comprised of ten specialized food fairs. Contains event details, a list of exhibitors, registration forms, services for participants and press releases. An organizer of giant leather and leather products trade fairs. 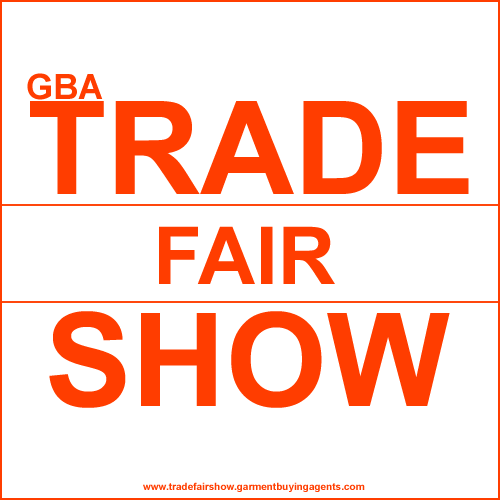 Site contains its profile and trade fair information. The association of the German trade fair industry. Site contains industry news, trends and publications. Also provides search for trade fairs in Germany and around the world. A biennual trade fair organized at Convention and Congress Center of Istanbul. Site contains fair factsheets, exhibitor list, event schedule, and press releases. A directory of trade fairs held in Czech. Specialized in organizing international trade events and conferences in Russia. Site covers its events and online registrations. An international trade exhibition of general aviation and air show held in Czech. Site contains its profile and programs. An international trade fair organized at the Lenexpo-Center of Russia. Site contains fair report, factsheets, event schedule, exhibitor list, press releases, and info on Russia''''s automotive market. A convention centre providing the latest facilities for small events, conventions, exhibitions, banquets, weddings and product launches. Site covers info on its services, facilities, photo files, VRs, and recruitments. Organized every two years in Australia showcasing cleaning product, services and technology. Site covers scope of products, press releases, event reviews and an exhibitor manual. Visitors' registration is available online. Australia's biennial international exhibition of packaging machinery, materials and technology. Site contains its floor plan, and a listing of exhibitors. Specialises in the organisation of national and international trade exhibitions. Site includes its corporate profile, exhibition calendar, and an introduction to the exhibition industry. A bimonthly magazine that covers the national market and event circuit. Lists special events, markets, festivals, fairs, swap meets, antique and doll fairs and expos. Includes a directory of Australian seminars and events, plus a listing of international events supported by Austrade. This page links to the upcoming events of the adhesives and sealants industry, including training, conferences, seminars and trade shows. Searchable. A directory of conferences, conventions, trade shows, exhibits, seminars, workshops, events, and business meetings around the world. Searchable by keyword and industry. An online tool to organize events. You can send private invitations to friends or organise professional events with thousands of attendees. You can even collect money and start selling e-tickets, paper tickets or badges for your event within minutes.